Oh yeah! I found Skeletia last month, and my buddy on the org, hooked me up wi a Jinifire! I wish there was a new guy for the Scaris assortment, but it'll be nice to get a new Deuce. There's a guy that posts at the .org that runs an online store that carries MH, he's said that Gil is getting a signature doll this year. While I'd like a signature Heath, I really hope he makes it out in the Ghoul's Alive assortment this year... how cool would it be to have him with light-up hair and eyes but then the latest webisode has him in a really cool suit-and-tie look that would be great to get, too... There seems to be a lot of demand for Invisibilly, too. 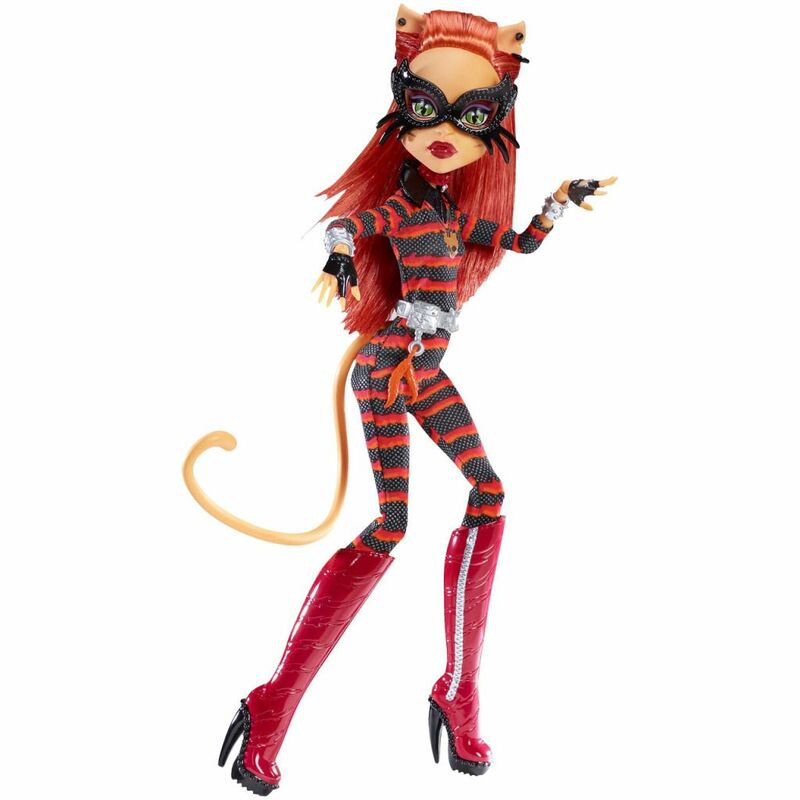 I saw Spectra and Clawdeen at Comic Con, but didn't know there were going to be more Super Heroes! I vowed that I was done with new variants and just collecting new characters. Curse you Mattel and your innovations! By the way - I was in a Kohl's last night and they had a big display of Monster High dolls that were marked "buy one get one half off." I took a picture that I'll upload later. ugh... where is there a Kohls ? They closed the one in Glendale. I was at the one in Torrance. My mom makes out like a bandit with Kohl's cash all the time, but without something like that you'd still be paying more than big box pricing even with the sale on those particular dolls. Our closest stores have added the shelf tags, too, but we haven't seen the doll yet.